Good day to all my fellow toastmasters, new visitors and friends. My name is Royce Tan and I am here today to properly introduce myself as a new member of the TTDI Toastmasters Club. I am also going to give you an idea of my life so far and hopefully get a head start on our future friendships. Part 1: Today is special for me as it marks the beginning of another journey, my journey as a Toastmaster. Let me share with you though, about my experience with Public Speaking as a skill. There was once upon a time not too long ago, when I was known as the quietest boy in school. As a child I was an introvert and shy of character. 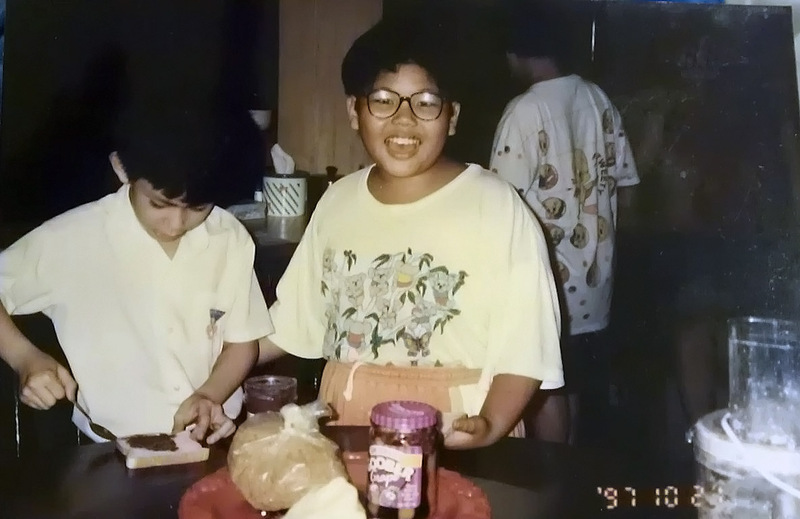 It also didn’t help that the color of my skin was very dark, I wore large 80’s grandpa glasses that covered half of my face and I was shaped like a small prepubescent sumo. My nickname was the ‘Black Doraemon’. Part 2: As you can imagine, I did not have very much self-confidence with social interactions let alone public speaking. In primary school I would walk into the canteen and stand near the vending machines to buy drinks and pretend to look at my watch for the tenth time just to avoid any human contact. I would prefer to get lost in my world of Enid Blyton books than interact with the world around me. Due to this apparent love for stories, my mother thought “hmm you should be a natural story-teller then.” I was unaware that it was the sentence that would bring about one of the most traumatic experiences of my life. I was close to tears and muttered “Thank You” and ran off stage as fast as my jelly legs could. That experience scarred me for life, yet strangely became my motivation to avoid ever enduring such humiliation again. At 13, I hit puberty and looked less like Doraemon, I started high school where I met like minded friends that helped me feel more accepted. My mother enrolled me for a short course in public speaking which became a gradual practice for most of my teenage life. The skill fully blossomed when I went to college and was recognized enough to be made emcee and then given a job during my university career. Many years later I stand before you, still a little boy at heart but with much more enthusiasm to do this and a lot more confidence to keep me from running for the door. I know my journey is far from over and I am here because I know there is so much more to learn. I appreciate your time for listening and I hope for us to get to know each other better as each meeting comes and goes.